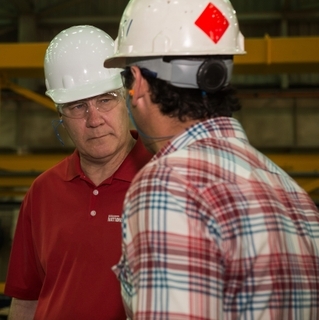 PASCAGOULA, Miss., Oct. 19, 2016 (GLOBE NEWSWIRE) -- Huntington Ingalls Industries’ (NYSE:HII) Ingalls Shipbuilding division hosted Rep. Trent Kelly, R-Miss., on Tuesday for his first tour of the shipyard, which is the largest private employer in the state. 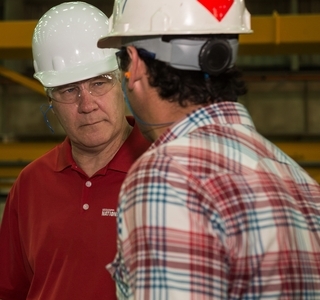 Kelly met with Ingalls leadership during his tour of the facility and had the chance to meet the shipbuilders on the amphibious assault ship Tripoli (LHA 7) and amphibious transport dock Portland (LPD 27). He was also reunited with Ingalls employees who were fellow veterans of the National Guard’s 890th Engineer Battalion in Gulfport.